However, it’s important to realize that the actual price of SPF equipment does not stop just because you pay for a piece of machinery or supplies. In fact, numerous factors continue to impact how much SPF equipment “costs,” including the SPF itself, as well as operation, maintenance and repair costs. This is where the total cost of ownership comes into play. 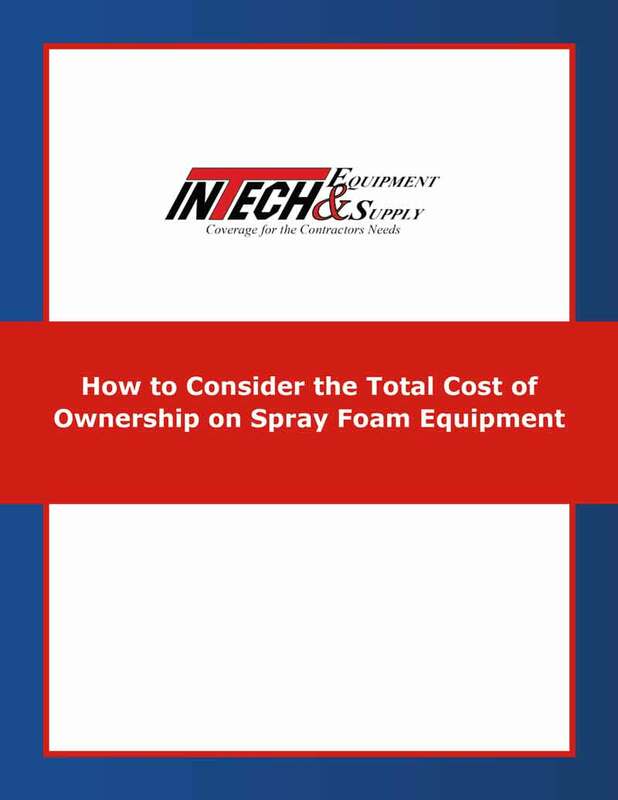 In our latest research project, we’ve developed a new eBook: “How to Consider the Total Cost of Ownership on Spray Foam Equipment.” This eBook, which you can download for free here, highlights the importance of looking past the actual price tag on SPF equipment, but also considering the value of unparalleled customer service. The new eBook also addresses why today’s SPF professionals should make an effort to understand the full impact and far reach that a nationwide provider can have on their business throughout the purchase process and well beyond.